Chelsea youngster Bertrand Traore appears to have completed his transfer to Lyon. The below photo, which was circulated on Twitter, shows Traore being presented in the kit of his new employers, which confirms that his time as a Chelsea player has come to an end. Football London reported yesterday that Traore flew into France on Saturday night to finalise his transfer to the Ligue 1 giants, and it now looks as though the deal has been sealed. 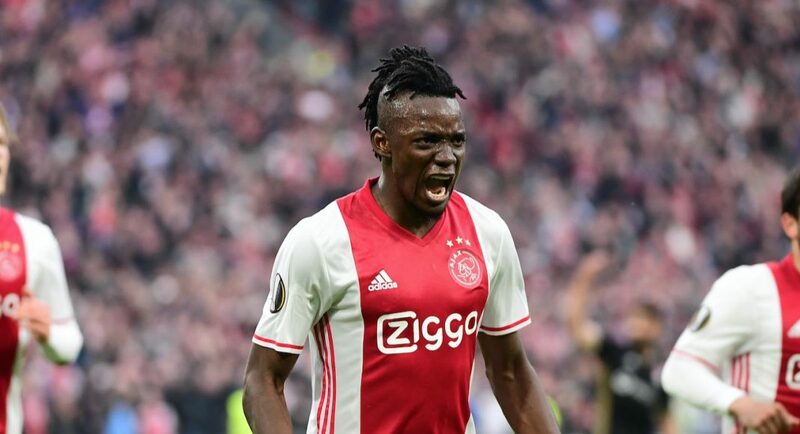 As per Football London Chelsea will receive a fee in the region of £16M in exchange for Traore. You wouldn’t put it past us re-signing him for triple that in a few years, he has the potential to go to the very top of the game. It seems to be a recurring theme at Chelsea, sign a young player, send them out on loan and watch them develop, before cashing-in and reaping the financial rewards. What a shame. Previous articleAre Chelsea planning something special for July 1st?